In most cases, bee stings are just annoying, and home treatment is all that's necessary to ease the pain of bee stings. But if you're allergic to bee stings or you get stung numerous times, you may have a more-serious reaction that requires emergency treatment. Bee stings can produce different reactions, ranging from temporary pain and discomfort to a severe allergic reaction. Having one type of reaction doesn't mean you'll always have the same reaction every time you're stung, or that the next reaction will necessarily be more severe. You're more likely to have an allergic reaction to bee stings if you've had an allergic reaction to a bee sting in the past, even if it was minor. Adults tend to have more-severe reactions than children do and are more likely to die of anaphylaxis than children are. In most people, the swelling and pain go away within a few hours. Moderate reactions tend to resolve over five to 10 days. Having a moderate reaction doesn't mean you'll have a severe allergic reaction the next time you're stung. But some people develop similar moderate reactions each time they're stung. If this happens to you, talk to your doctor about treatment and prevention, especially if the reaction becomes more severe each time. Remove the stinger as soon as you can. Take an over-the-counter pain reliever as needed. You might try ibuprofen (Motrin IB, Children's Motrin, others) to help ease discomfort. If the sting is on an arm or leg, elevate it. Apply hydrocortisone cream or calamine lotion to ease redness, itching or swelling. If itching or swelling is bothersome, take an oral antihistamine that contains diphenhydramine (Benadryl) or chlorpheniramine (Chlor-Trimeton). People who have a severe allergic reaction to a bee sting have a 30 to 60 percent chance of anaphylaxis the next time they're stung. Talk to your doctor or an allergy specialist about prevention measures such as immunotherapy ("allergy shots") to avoid a similar reaction in case you get stung again. In most cases, bee stings don't require a visit to your doctor. In more-severe cases, you'll need immediate care. 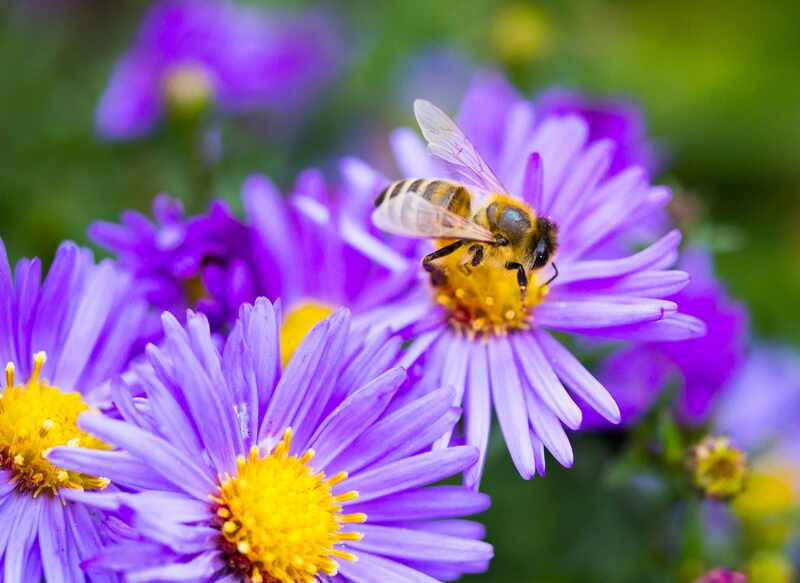 Call 911 or other emergency services if you're having a serious reaction to a bee sting that suggests anaphylaxis, even if it's just one or two signs or symptoms. If you were prescribed an emergency epinephrine autoinjector (EpiPen, Auvi-Q, others), use it right away as your doctor directed. Seek prompt medical care if you've been swarmed by bees and have multiple stings.